Can easily be taken off bracket for Panel Applications. 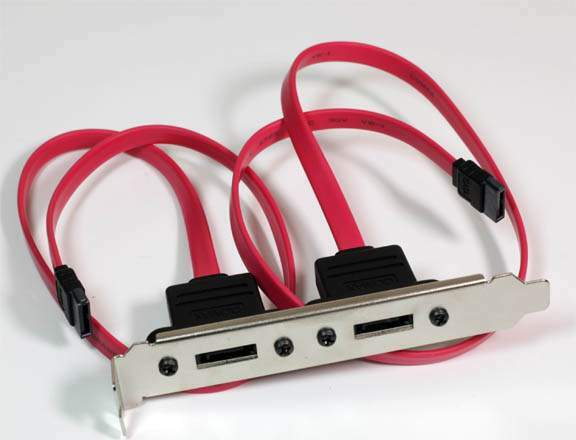 To put the Serial ATA Ports on the back of the case for SATA Operation. SATA-L Male to SATA-L Female on Bracket. Premium 17inch Cable in Plastic Bag.